Where do the pieces of us end up, the ones that we traded for love? Antonia is ready for her life to start. A young woman from a small town in southern Italy, she wants to pursue her long-held dream of writing a novel. But when she moves to Milan and meets the alluring and charismatic Vittorio, he upends her world and changes her priorities. Their whirlwind relationship is as thrilling as it is painful: he doesn’t share Antonia’s faith in love and can’t reciprocate her feelings. In the aftermath of their romance, Antonia rediscovers her passion for writing. It’s what she must do in order to get back to herself. Her words have the power to absorb her pain and transform her spirit. Now, she can find her truth—by insisting on it with pen and paper and by being as patient with herself as she is with her fictional characters. 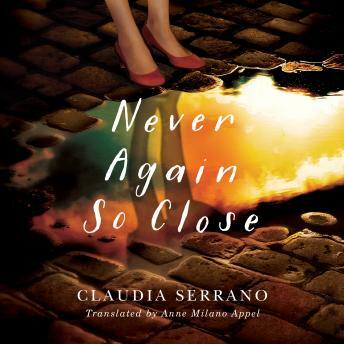 Poignant and beautifully written, Never Again So Close is a story of love, loss, and the profound self-discovery born of a broken heart.